The 2014 World Cup has been one of the hottest on record and, for the first time in the history of the tournament, referees were forced to stop play to provide players with official water breaks. Matches played in the Amazonian city of Manaus have received the most criticism, where temperatures soared above 32°C (90°F). Temperatures and humidity that high put players’ health at risk, and some players reported extreme fatigue and even hallucinations while on the pitch. As the effects of climate change are already beginning to impact the World Cup, it’s not surprising that the organizers of the world’s biggest sports fest are taking the threat of climate change seriously. Recognizing the severe impacts of rising temperatures on the sport, FIFA has mandated that, beginning with the 2018 tournament, environmental protection will be a mandatory requirement for host countries. In preparation for this requirement, the tournament in Brazil has been a test-bed for climate and environment protection strategies. FIFA estimates that the World Cup in Brazil will generate about 2.7 million tons of CO2 equivalent emissions, roughly the same as the total emissions of Iceland over a 6 month period. This number includes flights into and out of Brazil (80% of the total emissions), domestic travel, TV production and stadium electricity use. Some critics claim the number should be even higher when accounting for the increase in television use and sales worldwide, and the shipment of uniforms for all World Cup employees from China to Brazil. The estimate itself also varies depending on who does the calculations – Brazil’s estimate is closer to 1.4 million tons. No matter how you calculate the carbon footprint of a major sporting event such as the World Cup, it is a significant contributor to climate change. Recognizing this, Brazil has taken a number of trendsetting actions to lessen the overall environmental impact of the tournament. The biggest gamble for the host country was the launch of a carbon offset donation program. 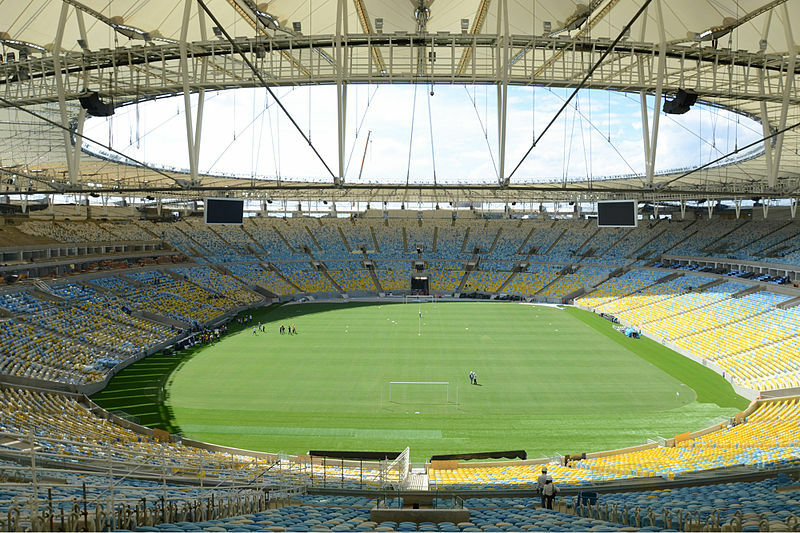 Instead of purchasing its own carbon offsets (a daunting cost given the already high price of World Cup infrastructure and preparations), Brazil encouraged holders of Certified Emissions Reduction Units (CERs) from the Kyoto Protocol’s Clean Development Mechanism to donate them to the organizers of the tournament, in exchange for publicity and advertising during the games. These credits can then be traded or sold to help Brazil meet its goal of neutralizing its internal emissions generated by the World Cup. All donated credits must originate from Brazilian CDM projects, ensuring that the carbon reductions are actually coming from the host country itself. As of last month, the equivalent of 520,000 tons of CERs had already been donated to the country by 11 different companies from the agribusiness and construction sectors, greatly outweighing Brazil’s direct (domestic) emissions estimate of 60,000 tons (based on domestic transportation, accommodation and construction/operation of stadiums). The offset program is not the only initiative making this the greenest World Cup to date. Another Brazilian accomplishment was ensuring that all of the stadiums are environmentally certified. As a condition to receive financing from Brazil’s state-owned development bank, stadiums had to attain LEED certification by the end of 2014. Other sustainability efforts include providing certified sustainability training courses to stadium managers, the implementation of a new waste law in Brazil to better control the destination and handling of waste and recycling, and the sponsoring of numerous renewable energy projects in communities throughout Brazil that will continue long after the tournament has ended. 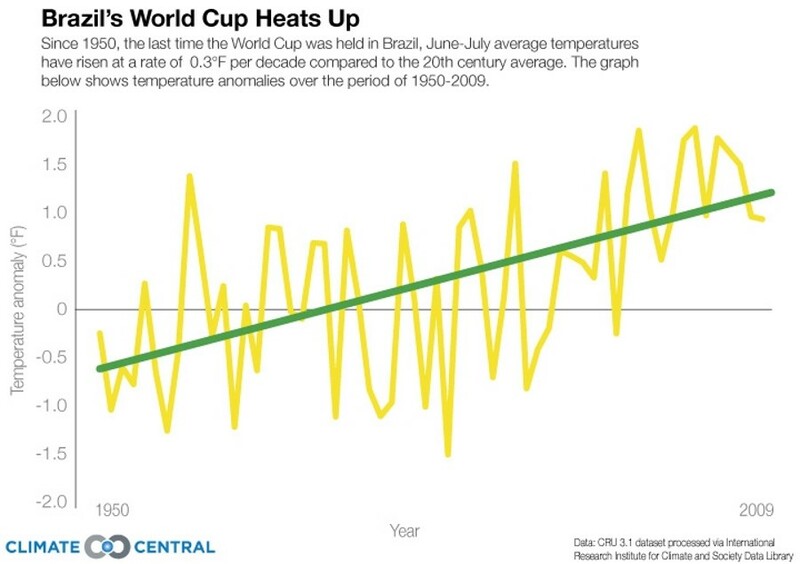 While the true climate impacts of Brazil’s efforts are yet to be seen (a comprehensive sustainability report will be produced by FIFA according to the Global Reporting Initiative guidelines after the conclusion of the tournament), the significant effort made by the host nation to reduce the tournament’s carbon footprint is commendable. If the offset donation program and other sustainability initiatives are deemed successful, it is likely that these large sporting events could shift in the very near future from a huge source of carbon emissions to a major opportunity for climate mitigation.